Where does a Persian girl (well, half) get her Persian food fix?? Growing up we would always go to Shiraz, which is a restaurant and market all in one. It’s family owned, small, very casual but the food is good and you can buy all the Persian food items you need in their little market. However, I wanted to try Torange because it’s much closer to where I live and how great would it be if I could just order or pick up from them whenever I wanted?! As we entered the restaurant, there was only one other table occupied, but this didn’t surprise me because of the lack of a Persian population here in Miami. The decor needed an update as did the restaurant itself. The host/waiter/owner of the restaurant (?) sat us down and was very nice but very unprofessional. He was dressed in a white tee and had soccer playing in the background. Later on, when another couple arrived, he finally turned on some background music. The menu was pretty limited and I kept finding the wrong names for the menu items. They were in English but with the wrong descriptions. When ordering, the waiter referred to dishes as “green rice” or “the meat” and I’ve never heard of anyone referring to Persian dishes in that way. They should at least have the appropriate names of the dishes! 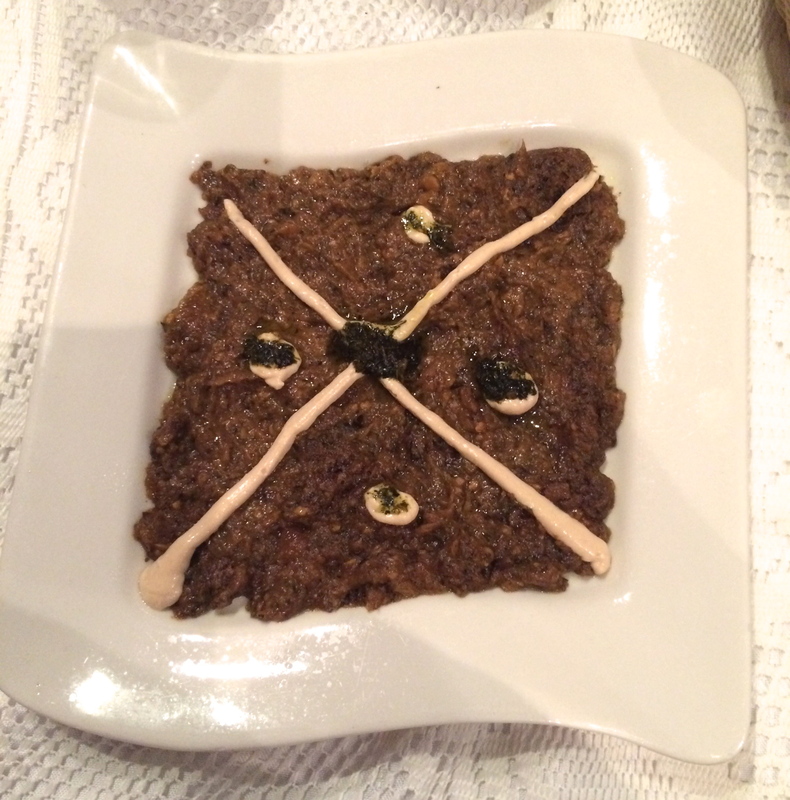 Pictured above was the the eggplant dip, known as Bademjan. It was very good paired with warm pita bread. I ordered the ground beef kabob. 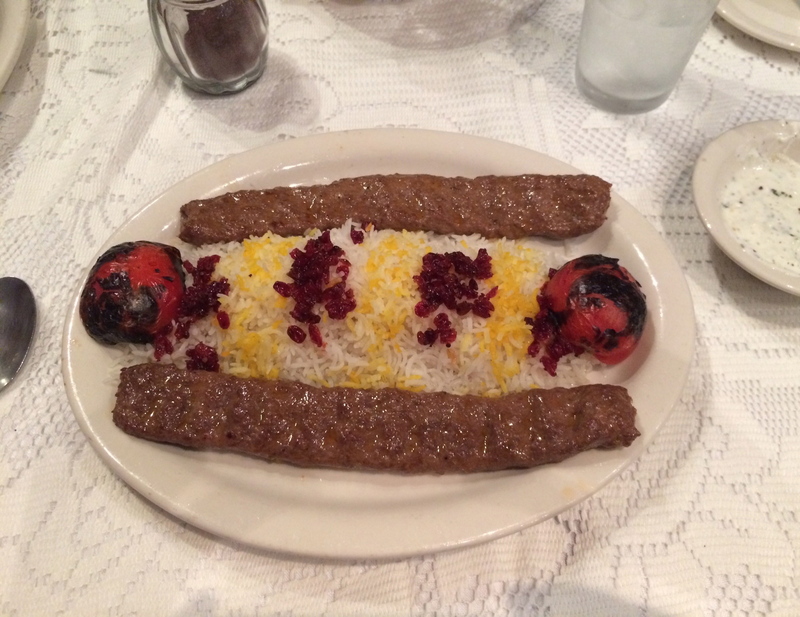 Again, the ground beef is called kubideh (aka koobideh). But they only referred to it as ground beef kabob on the menu. It came with plenty of basmati rice and I chose to add a side of barberries on top. The barberries are known as zereshk. 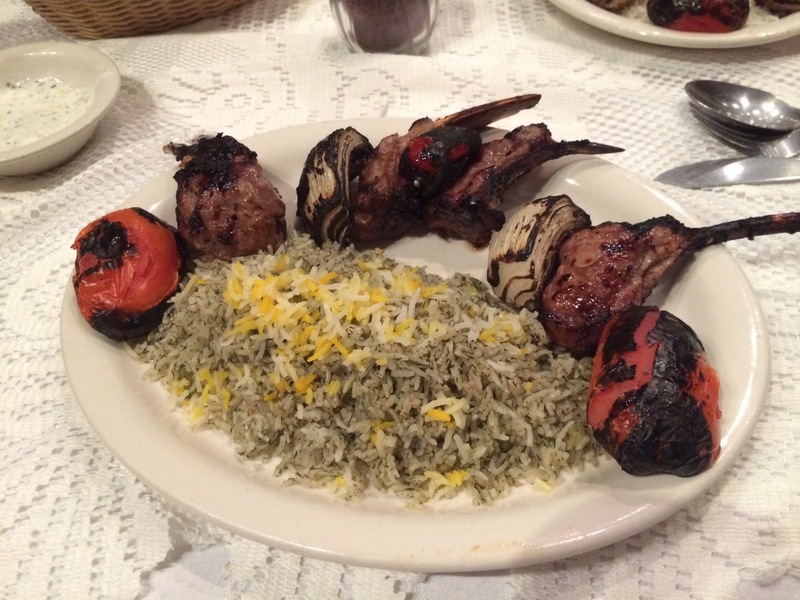 We also ordered the “lamb kabob with green rice” as stated on the menu. 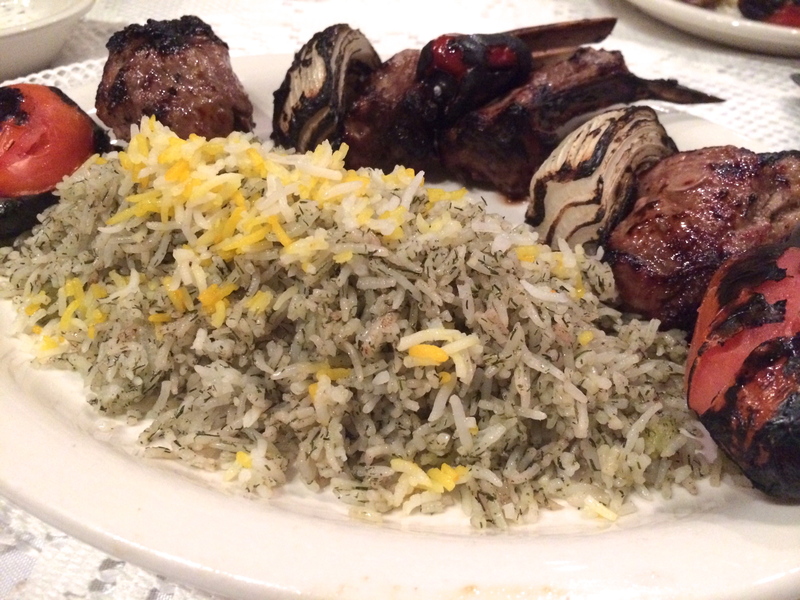 It was actually lamb chops as you can see and the “green rice” is called baghali polo. Baghali polo is actually one of my favorite Persian rice dishes, it has dill and lima or fava beans. Overall, the food was good/average, however, the inappropriate names for the dishes really frustrated me. They need to update their menu, fix up the restaurant and at least dress professionally for a restaurant setting.